Testing inconsistencies in marijuana show it may be anyone's guess just how much THC comes in those edibles and joints. The information prompted the Marijuana Control Board to hold a quickly-scheduled meeting by telephone Tuesday to figure out whether to shut down the industry until testing for THC can be more consistent or to issue a public consumer alert. The board voted unanimously to put out the public notice, which warns consumers about a dangerous mold and inconsistent THC levels in products. Then-chairman Peter Mlynarik — he resigned from the board Thursday after the U.S. Justice Department scrapped a policy that relaxed marijuana enforcement in states that legalized cannabis — contended he doesn't have confidence in the commercial labs "because there is such a large swing" in their THC content results. He thought stronger actions should be taken than a public notice. Loren Jones, the Juneau board member who represents public health, said he didn't feel the board was in a position to shut down the businesses. And there didn't appear to be significant public health threat to justify shutting down the industry. "We need to give the consumer alert and move forward as quickly as we can," Jones said prior to the vote. The alert issued by the Alcohol and Marijuana Control Office states: "AMCO is vigorously investigating these inconsistencies and has already initiated actions to identify and correct the processes or deficiencies that have resulted in these reporting inconsistencies. In the meantime, all consumers of marijuana and marijuana products are urged to exercise care and good sense in choosing and consuming marijuana. Inspect the products you purchase. Limit consumption to the appropriate serving size. Read and heed the warnings that are on every package. Your welfare is our highest priority." The topic has been dogging the board for months now. Products that were sent to the only two commercial labs in the state — Steep Hill and CannTest, both in Anchorage — allegedly contain different amounts of THC. A difference of 7 percentage points between the two labs might be acceptable, member Brandon Emmett told the board. But a difference of 50 percent "just isn't." Enforcement supervisor James Hoelscher recently sent different batches of cookie crumbs, capsules and buds to be randomly tested. A chart he showed to the board indicated the products tested at higher concentrations of THC at one lab than at the other. Edible products are limited by regulation to 5 milligrams of THC per serving. 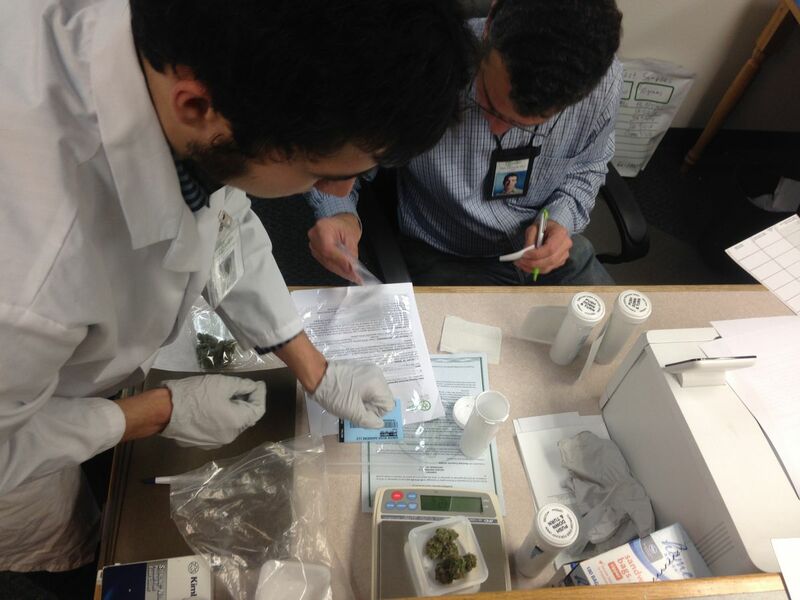 One lab's test results showed THC content as 4.4 milligrams. The other measured 8.8 milligrams. Nailing down whether it's the testing procedure in the labs that tilt the variations or something in the cooking process form two of the biggest questions, Emmett said, who represents the industry on the board. In the meantime, a consumer alert should let the public know that some products may be much stronger than they think and to exercise caution. Hoelscher said he checked with labs in Colorado, Oregon and Washington to see if they also saw such wild variation between testing facilities. "They too are wrestling with how to get it to test out what they claim on the products," Hoelscher said. But the variation spread is much smaller between labs in those states than Alaska's, he added. There seems to be a larger testing crisis going on in Alaska than those other states, Hoelscher said. Mold was identified in a marijuana flower by one lab but wasn't detected by the other lab, according to their public alert. 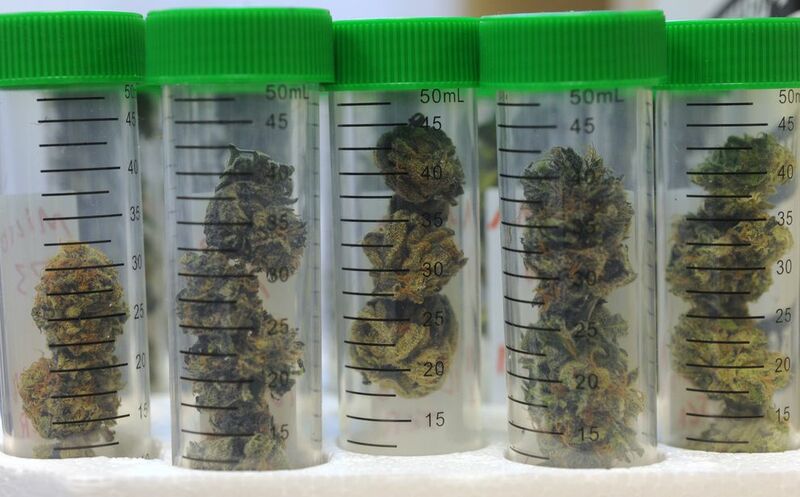 A few of Alaska's marijuana growers and manufacturers are facing a crisis after random testing turned up mold and enforcement officers removed their products from store shelves. One business received a clean bill on healthy plants when a lab tested the marijuana flowers. But state enforcement officers — sweeping through shops to do their own random testing — found that same growers' weed was contaminated by Aspergillus mold, said Emmett. Aspergillus is a group of molds broadly found when autumn turns to winter in the northern hemisphere. Exposure can trigger asthma or bronchial problems, according to information provided by the Alcohol and Marijuana Control Office. It strikes local marijuana harvests as a soil microbe that can become airborne. "Aspergillus is quickly becoming problematic," Emmett said prior to the meeting. "The Aspergillus problem is further reaching than we anticipated. It's a soil microbe so it's ubiquitous." In early December, marijuana enforcement officers shut down a Fairbanks business, Frozen Budz, after Aspergillus mold was found in its cookies and other products. A series of violations by the company, which included failure to test products for potency and mold, producing edibles not approved by the board, and using untraced marijuana to make the products, led to the revocation of its license and a $500,000 civil fine. A significant amount of inventory sold to retailers by Frozen Budz was yanked immediately from shops to protect consumers, leaving the shops' owners suffering revenue losses. The loss of inventory varied between $2,000 and $10,000 per store, according to figures from the enforcement office, Emmett said. Frozen Budz products were available at many marijuana retail stores from Fairbanks to the Kenai Peninsula. In addition to not being properly tested, the cookies, tea and dessert drops may have had inaccurate THC amounts per serving, said Erika McConnell, director of the Alcohol and Marijuana Control Office. "The products are labeled as having 5 mg of THC per serving, but in reality, each serving may have a great deal more THC," McConnell wrote in a consumer alert. "Additionally, the products have not been tested for contaminants such as bacteria, fungus or mold. Consumers who have purchased products made by Frozen Budz should be aware." Mlynarik said the board found the acts of this licensee "especially egregious" for the significant health risk posed in selling "products that were not safe, tested or tracked." Frozen Budz owner Destiny Neade has said she is looking at what her options are to appeal the board's ruling. Given there are just two marijuana testing labs in the state, the variations between the two can't be checked by another lab, Emmett said. That's soon to change with testing facilities to open in Wasilla and Fairbanks. About 100 of the state's 149 cannabis businesses utilize the labs as growers or product manufacturers. "This (meeting) is related in that the testing that was done on Frozen Budz products revealed inconsistencies between the two labs and in results for a particular batch," Emmett said. "So the state tested samples of marijuana flower on the shelf in various stores. Some of those samples may have had different test results." Plants themselves can carry differing potency strengths between buds on the higher elevations of the plant and those produced lower down, Emmett said. But having only two labs in the state isn't providing enough back-up checks on potency and microbes. Another problem in Alaska is that in this new industry, there's no history from testing marijuana like there is in Oregon and Colorado where potency tests on medical marijuana form a foundational knowledge, Emmett said. "If there are two, and slightly different results, it begs the question about who's correct or who is not. If you had three or even five labs, it's a lot easier to say this is the range you get between testing procedures," Emmett said. "That's one thing we want to address with this testing committee. What are the testing ranges? What are the procedures that they have to use? I'd like to see that standardized. There's an accepted procedure for each and all have to be tested in the same way." A committee to look at all matters around testing was established at a board meeting in November. It is made up of Emmett, AMCO staff, five industry members and 15 science and health professionals from around the state, including a biochemistry professor from University of Alaska Fairbanks and a chemist from the state crime lab. The committee will seek out a way to bring a more empirical uniformity into the testing process. Harvesters face a potential devastating set of losses when their marijuana is pulled for administrative reasons after testing. A typical harvest of 10 to 16 pounds is valued at $40,000 to $72,000; at $4,000 per pound, the loss of an entire harvest found tainted by Aspergillus can bring economic trouble to growers.